Ashampoo Driver Updater is listed in Drivers category and made available by ashampoo GmbH & Co. KG for Windows. Unfortunately, we have not yet reviewed Ashampoo Driver Updater. If you would like to submit a review of this software, we encourage you to submit us something! What is Ashampoo Driver Updater software from ashampoo GmbH & Co. KG, what is it used for and how to use it? Ashampoo Driver Updater constantly keeps your Windows drivers up to date, better than Windows Update could ever do. The program scans your hardware components and compares them to over 400,000 database entries. As soon as new drivers are found, the program will install them at the click of a button. This will render printers, sound systems or scanners that malfunctioned or ceased to work fully usable again. Errors, crashes or system slowdowns caused by old or corrupt drivers are effectively eliminated. Up-to-date drivers enable your PC to unleash its full potential which is especially useful for graphically demanding games and can produce significant speedups. The new stability concept ensures that driver updates undergo thorough functionality checks before they are being installed and automatically created backups and system restore points offer additional safety. Windows 10 users will particularly benefit from Driver Updater since they are frequently plagued by missing or incompatible drivers. With over 150,000 supported devices, Driver Updater guarantees maximum compatibility for both common and less common device manufacturers including professional-grade hardware. Download and install Ashampoo Driver Updater safely and without concerns. Ashampoo Driver Updater is a software product developed by ashampoo GmbH & Co. KG and it is listed in System category under Drivers. Ashampoo Driver Updater is licensed as Shareware which means that software product is provided as a free download to users but it may be limited in functionality or be time-limited. You may need to pay at some moment to continue using product or to use all functionalities. You can run Ashampoo Driver Updater on all modern Windows OS operating systems. Ashampoo Driver Updater was last time updated on 24.01.2019 and it has 1,975 downloads on Download.hr portal. Download and install Ashampoo Driver Updater safely and without concerns. What do you think about Ashampoo Driver Updater? Download.hr periodically updates software information of Ashampoo Driver Updater from the software publisher (ashampoo GmbH & Co. KG), but some information may be slightly out-of-date or incorrect. Ashampoo Driver Updater version 1.2.1 for Windows was listed on Download.hr on 24.01.2019 and it is marked as Shareware. All software products that you can find on Download.hr, including Ashampoo Driver Updater, are either free, freeware, shareware, full version, trial, demo or open-source. 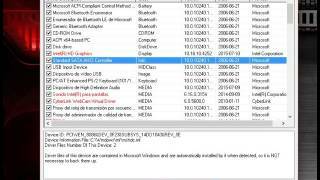 You can't download any crack or serial number for Ashampoo Driver Updater on Download.hr. Every software that you are able to download on our site is freely downloadable and 100% legal. There is no crack, serial number, keygen, hack or activation key for Ashampoo Driver Updater present here nor we support any illegal way of software activation. If you like software product please consider supporting the author and buying product. If you can not afford to buy product consider the use of alternative free products. Is it safe to download and install Ashampoo Driver Updater? Ashampoo Driver Updater was checked for possible viruses by various leading antivirus software products and it is proven to be 100% clean and safe. Although, no malware, spyware or other malicious threats was found we strongly advise you to check product again before installing it on your PC. Please note that laws concerning the use of Ashampoo Driver Updater may vary from country to country. Please be sure that you are using Ashampoo Driver Updater in accordance with the law in your country. How to uninstall Ashampoo Driver Updater? How do I uninstall Ashampoo Driver Updater in Windows Vista / Windows 7 / Windows 8 / Windows 10 OS? Make sure the "Ashampoo Driver Updater" is highlighted and then make right click, and select Uninstall/Change. How do I uninstall Ashampoo Driver Updater in Windows XP? Make sure the "Ashampoo Driver Updater" is highlighted, then click "Remove/Uninstall." How do I uninstall Ashampoo Driver Updater in Windows 95, 98, Me, NT, 2000? Select "Ashampoo Driver Updater" and right click, then select Uninstall/Change.